Post Hurricane Sandy in NYC, I have been organizing the newspapers in the Makino Collection, which as a whole go from 1926 to 1969, with most of the papers from the 1940s through the 1950s. These include film newspapers for which we have many issues (over 500), like the Shūkan eiga puresu/週刊映画プレス/The Weekly Eiga Press, (1953-1963). But we also have many titles for which there are only one or two issues in the Collection, including Eiga shinpō/映画新報, Fuan/ファン/The Fan, Gaikoku eiga shinbun/外国映画新聞, and about 50 other titles. They are very delicate and sometimes in brittle condition. 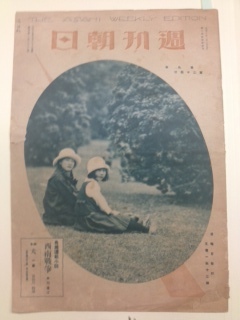 The Makino Collection also has non-film newspaper titles that include selected issues from the 1930s from Tokyo Asahi shinbun/東京朝日新聞, Tokyo Nichi Nichi shinbun/東京日日新聞 and its special editions/語外, and Yomiuri shinbun/読売新聞. 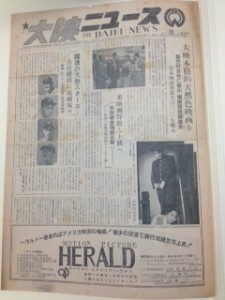 The general newspapers cover significant events in Japanese history from 1931 until 1937. In particular, they cover two attempted coup d’états, The May 15 Incident of 1932 (五・一五事件 Goichigo Jiken) and The February 26 Incident of 1936 (二・二六事件 Ni-niroku jiken or “2-2-6 Incident”). They also include general newspapers where articles related to film were published, such as the 1926 May 30th issue of Shūkan Asahi/週刊朝日/The Asahi Weekly Edition (vol. 9 no. 24), which on page 7 has an article by Nobel Prize winning author Kawabata Yasunari/川端康成 on the Kinugasa Teinosuke/衣笠貞之助 avant-garde film Kurutta ichipeiji/狂つた一頁/A Page of Madness. 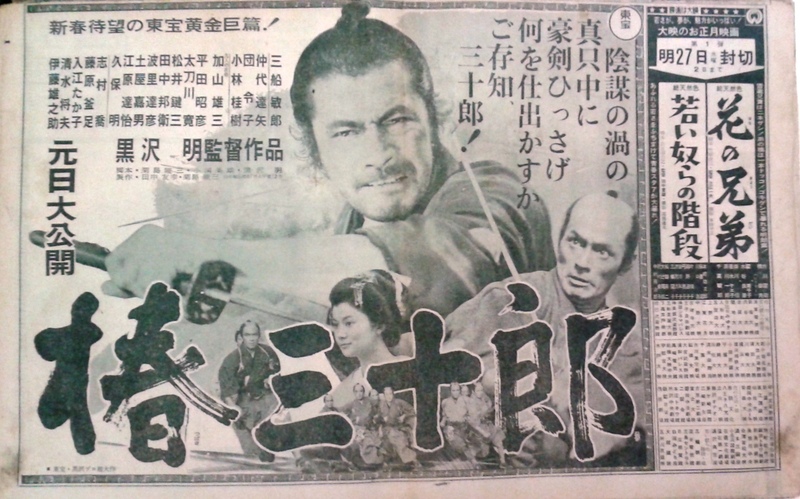 Kawabata collaborated on the film. Aaron Gerow has written about this film in his book, A Page of Madness: Cinema and Modernity in 1920s Japan (Center for Japanese Studies, The University of Michigan, 2008) as well as in his blog. The items in this series (Series 18, Newspapers) are organized in alphabetical order by title of the newspaper publication, rather than by date of publication (although the dates covered are noted). Also contained in this series are large handbills/small posters for late 1930s films. I am still investigating these, but they may have come from the newspapers alongside which they were found. 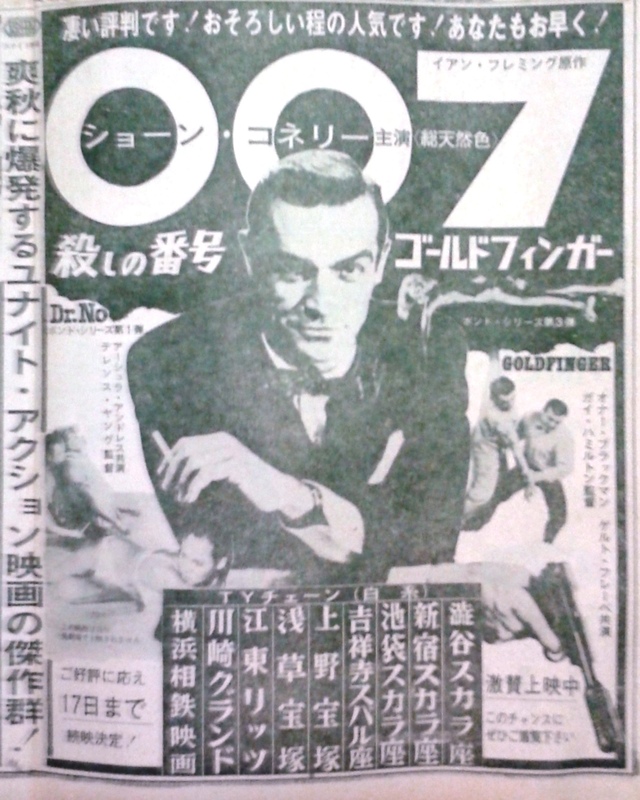 The Collection has an entire series of over 3000 Movie Theater Handbills/Chirashi from the prewar period, so these in the newspaper section complement those in Series 12. There is also an interesting connection to postwar magazines (which in the Makino Collection are organized in Series 11). Distinguishing between a magazine, newspaper, and even a newsletter, is not always readily apparent. I have organized the newspapers in 8 boxes (Box 482~490) that can be requested in our Rare Book Room. For a complete list of titles and dates of the newspapers in Series 18, please send me a request. They are not yet uploaded to the Makino Website, where several Excel Files have already been uploaded for public view. This entry was posted in newspapers and tagged February 26 Incident, Kawabata Yasunari, Kinugasa Teinosuke, May 15 Incident, newspapers on November 21, 2012 by Beth Katzoff.